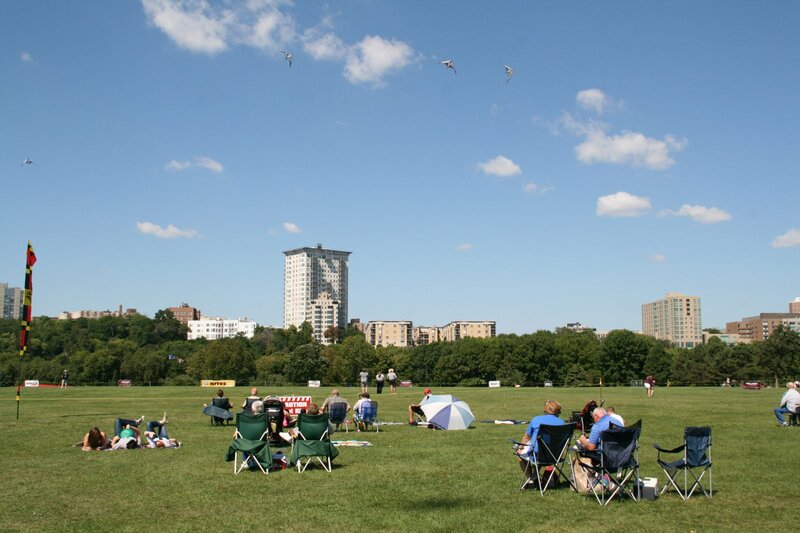 People in lawn chairs watched skilled kite flyers pilot their kites close together in loops. Photo taken by Jeramey Jannene on September 7th, 2014. All Rights Reserved.